As I was thinking about this and wondering why I never get the option of a sugar free syrup, I also wondered why I'd never thought to do that myself! I've made plenty of simple syrups before but would the sugar free alternative work? Sure does! And now I had a sugar free syrup to add to my chilled beverages. 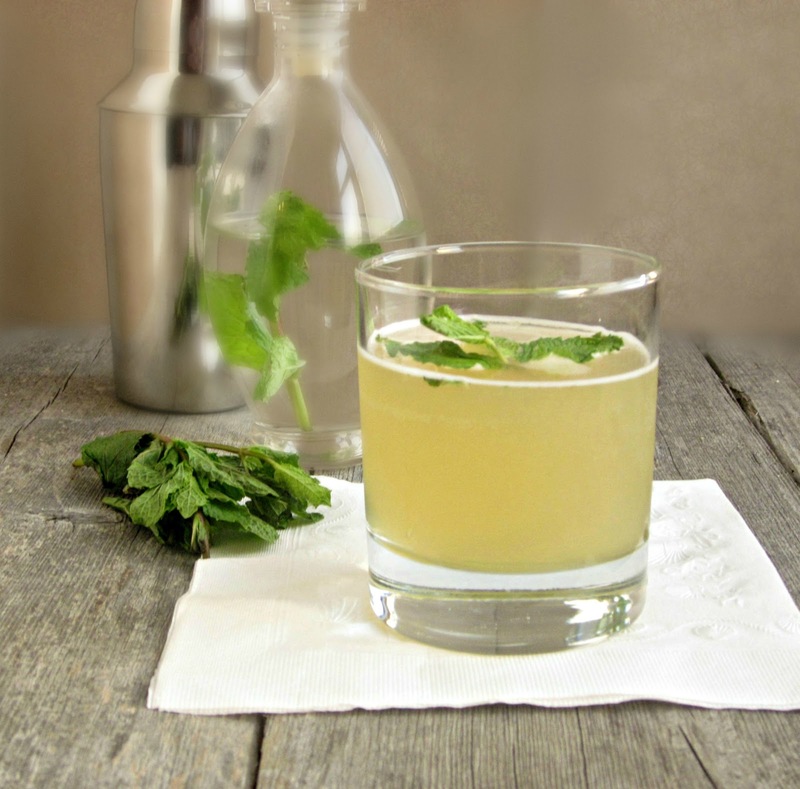 And if that chilled beverage happens to be a refreshing cocktail, why not raise the bar and make it a minty and skinny syrup. As for the cocktail, I chose to add a bit of orange flavor to an otherwise simple mojito along with lots of refreshing mint. And as I look forward to the long Labor Day weekend, I'm envisioning a pitcher of refreshing orange mojitos on the table, a bottle of the skinny syrup for my guests to choose their own level of sweetness and long, lazy days in the garden enjoying the last bits of summer. Cheers! In a small pot, bring the water and Sweet'N Low to a simmer and stir until the Sweet'N Low has dissolved. Remove from the heat and add the mint. Allow to cool and pour into a bottle along with the mint leaves. Store unused portion in the refrigerator for up to a week. To make the cocktail, add the rum and mint to a cocktail shaker and muddle together using a muddler or the back of wooden spoon. Add the lime juice, orange liqueur and skinny syrup along with a handful of ice cubes. Shake well and pour into a chilled cocktail glass. 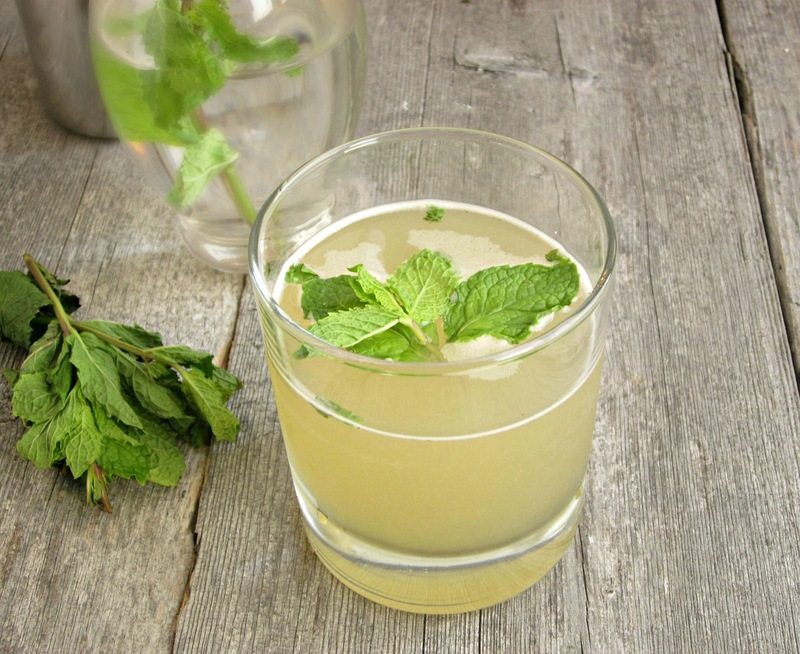 Top off with the club soda and a sprig of mint. If you're making a large batch, you can also leave out the skinny syrup and serve it separately so that guests can sweeten their drinks to their own taste. Disclaimer: As part of the Foodbuzz Tastemaker program, I was financially compensated and provided with samples of Sweet'N Low and coupons. The recipe, photographs and opinions are my own. Thank you! I've been hunting for the perfect skinny syrup. I'll be trying this for sure. I have never tried skinny syrup...this sounds awesome! I love mojitos! And I'm always up for making things healthier, will definitely be giving this one a try!! Mojitos are becoming more and more popular! The skinny syrup sounds interesting - definitely worth a try! I love Mojitos, but have never tried orange in them. 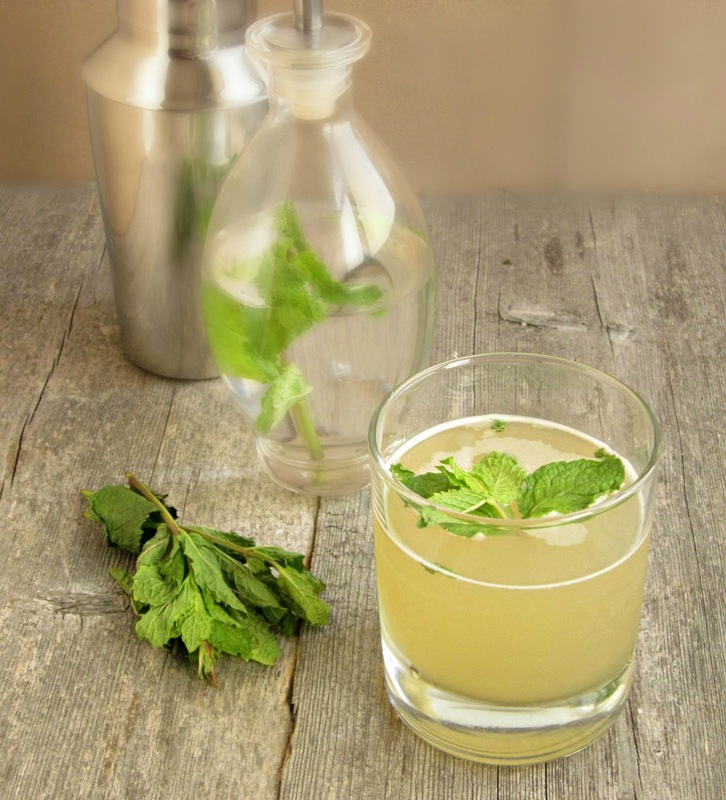 I make my Mojitos with Stevia, a plant based natural sweetener. i have only made them one at a time however. I'll have to try the skinny syrup ides. Have a great Labor Day Weekend enjoying your refreshing Mojitos! Sounds refreshing! Thanks for sharing at Foodie Friends Friday!